Following on from our previous bulletin about preparing and framing up the tapestry, the next stage in the conservation work is the stitching treatment. There are several different elements of damage and deterioration to consider during the stitching treatment and each one has to be treated slightly differently. The main problem areas in the tapestry are inherent weaknesses. This includes problems such as failing stitching of the horizontal slit stitching, degrading dark brown wool and weak/degrading silk. As well as these there is also damage caused by insects, previous hanging mechanisms, previous repairs and poor environmental conditions, such as light damage and fluctuating temperature and relative humidity. The warp of the tapestry runs from side to side and the woven weft runs from top to bottom. Where one or more of the warps are broken this creates a hole in the tapestry. During the conservation if several warps are broken or missing in one area we will re-warp. Re-warping is where we insert new warps into the hole alongside the existing broken warps. These new warps are then stitched in place using a brick couching stitch in either wool or stranded cotton to infill and match the missing weft. This stitching technique is also used for bare exposed warps where the weft is missing. Slits occur in a tapestry where two colours meet. 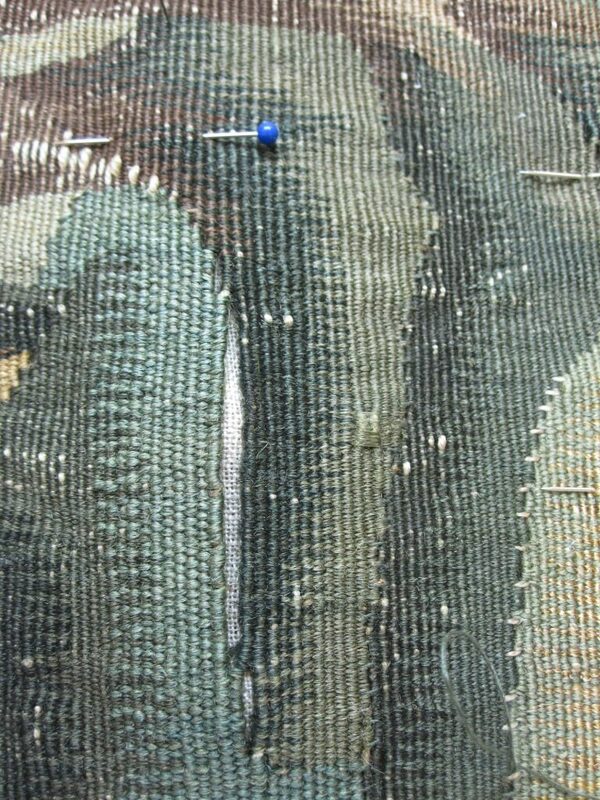 Once the weaving was complete these slits were stitched together with linen threads. 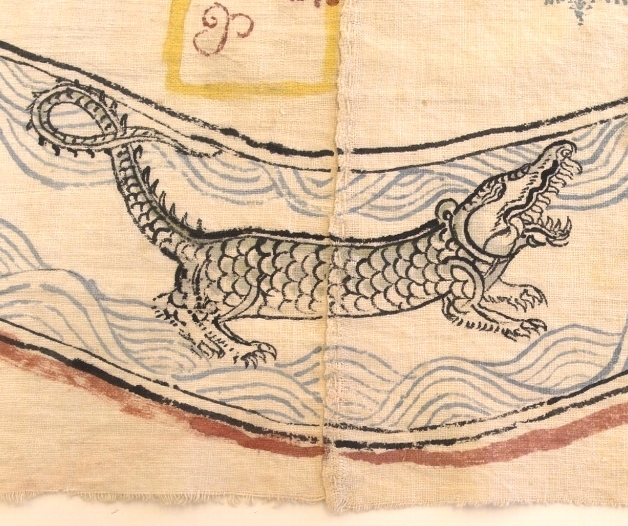 Over time these linen threads deteriorate and fail, leaving the slits gaping open and the tapestry at risk from further damage. We re-stitch all open and weak slits in the tapestry with strong modern polyester/cotton threads following the pattern of the existing stitching and stitch holes where possible. All of our repair stitching is carried through to the linen backing fabric, as this helps to support and hold the weight of the tapestry. 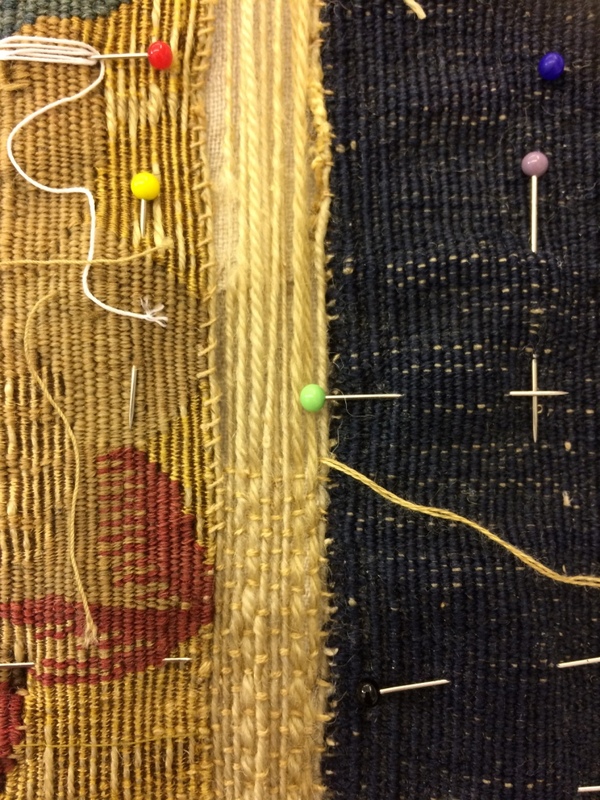 A further consideration during our stitching treatment is working with previous repairs in the tapestry. 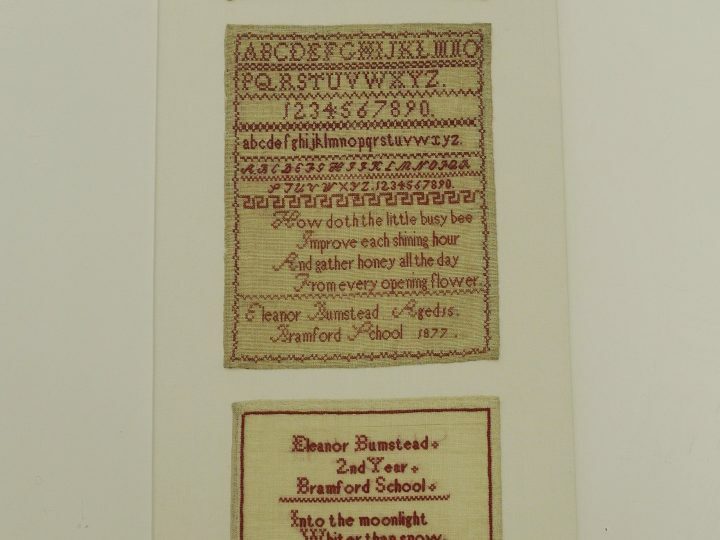 These have an historical value and add to the history and life of the tapestry. 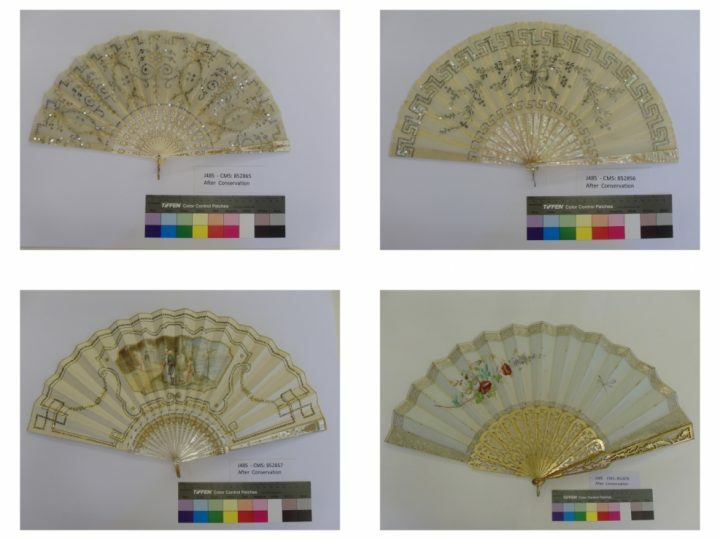 These repairs may well tell an important story in their own right relating to the property or family that they belonged to. Because of this we do not automatically remove previous repairs no matter how unsightly they may be, but assess each one individually. Where previous repairs have been well executed and do not cause distortion or unwanted tensions in the tapestry they are left in place. 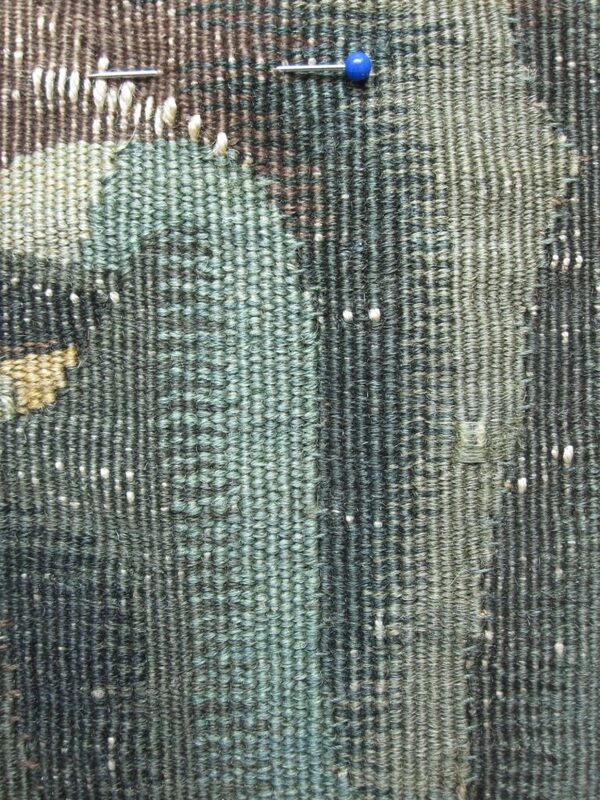 Often the tapestry has continued to deteriorate and weaken since the repair was made and today the stronger previous repair often sits surrounded by a weaker, damaged area. Our conservation stitching is then used to blend the previous repair into the surrounding area and strengthen these weak areas too. Where previous repairs are unsympathetic and have been poorly executed these may have to be removed to prevent any further damage to the tapestry. Where this occurs, these repairs are fully documented for historical interest before careful removal and conservation. 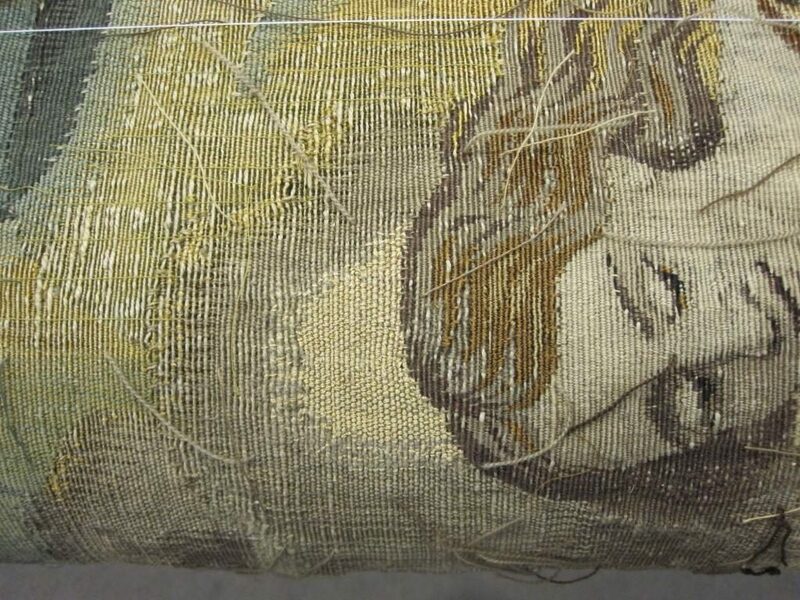 In conservation we make sure our repair stitching is sympathetic to the structure and aesthetic appearance of the tapestry, using only conservation grade materials. These are materials that have been tested to ensure they meet certain requirements such as colour fastness, durability and are moth / insect proof. 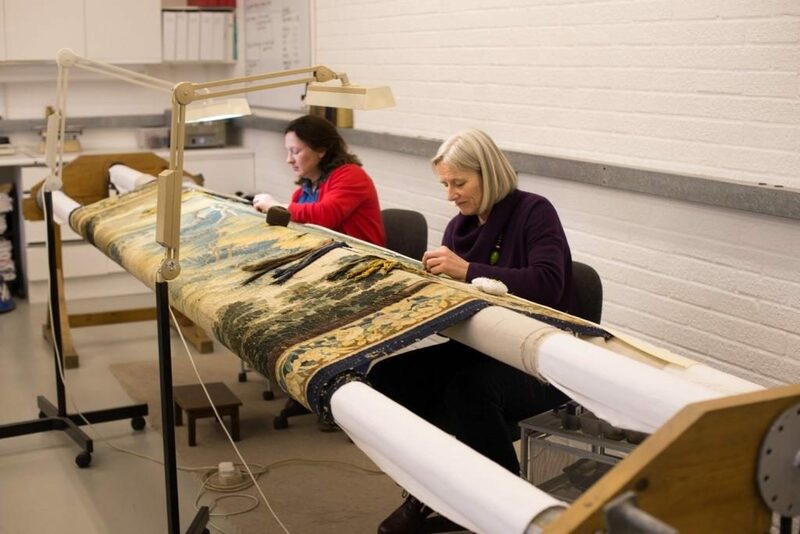 The aim of the conservation treatment is not only to make the tapestry stable, secure and safe for hanging display, but also to ensure the original story of the design can be interpreted. This set of tapestries depicts stories from Ovid’s ‘Metamorphoses’. Our work should enable the tapestry to be viewed as a whole and appear overall complete, so that its story can be read and understood. However, it is also important in conservation that when viewed close up our repairs should be easily distinguishable from the original. Our conservation stitching is progressing well and we are now half way through the tapestry. We will look at the lining technique in our next bulletin.